There are a lot of misconceptions surrounding consuming alcohol before driving. These wives tales have been told so many times that it can be hard to distinguish the truth from fiction. These myths can lead to unfortunate circumstances that get you or a loved one into trouble with the law. Here is the truth about the top five most common DUI myths. Myth: A breath mint with is able to provide a disguise that you are drunk. 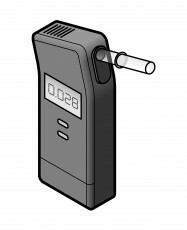 Fact: Blood Alcohol Content has nothing to do with the way someone’s breath smells. A police officer will be able to detect drunkenness with, or without a breath mint. Myth: If you don’t know that you are drunk then it’s okay. Fact: A police officer will still report you for a DUI even if you say that you didn’t know the beverage you were consuming contained alcohol. There is no way for them to verify if this claim is true or false. A police officer can and will arrest you whether you are accidentally drunk or not. Myth: Drinking a lot of coffee can help you sober up. Fact: There is no relation between drinking a lot of coffee after drinking alcohol and becoming sober faster. It does not matter how strongly caffeinated the coffee is. Drinking a lot of coffee or other strongly caffeinated beverages can actually have the opposite effect. Myth: Eating a lot of food, or eating specific foods before drinking can help prevent drunkenness. Fact: Eating certain foods like high-carbohydrate foods, or high protein foods will not act as barriers to letting the alcohol into your bloodstream. Neither will eating a lot of food before drinking. Alcohol doesn’t enter your bloodstream through digestion but rather through absorption, so what you have in your stomach doesn’t really make a difference. Myth: Exercise can help you sober up faster. Fact: There is no relation to exercising after drinking and expediting the process to being sober again. Running a lap is not going to make the alcohol process through your bloodstream any faster.